The OHP 5000 loads audio into its digital flash memory via an integrated CD audio mechanism. To record new audio, simply insert a single-track audio CD, close the lid, and the unit automatically transfers the CD audio to the unit's digital flash memory and automatically begins playback- or insert a multi-track CD and choose which tracks to record. Built in 8 minute recording capacity is upgradeable to 16, 24 or 32 minutes by adding plug in memory modules (OHP 8 MEM). Full function LCD panel displays program length, time remaining and units status. The OHP 5000 works with PBX and key phone systems ONLY. It will not work with your home phone. The OHP 5000 Digital Player requires a PBX or key system operate. Customers are responsible to make sure that the parts ordered are compatible. The best way to make sure you are ordering the right OHP 5000 Digital Player is to turn the item over and look on the bottom for the part number. It should have the following located on the bottom of the phone: "OHP 5000 Digital Player". Remember, there is a 20% re-stocking fee which we do not enjoy imposing. So please consult with us regarding the OHP 5000 Digital Player or any other On-Hold Plus component if you are unsure of what your are ordering. Our goal is your total satisfaction and lasting business. We may conduct business over the Internet, but our operations are founded on service and commitment to customer satisfaction. 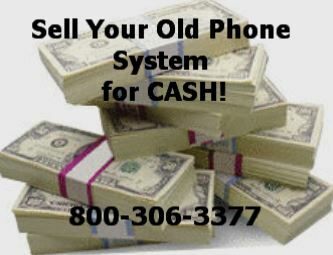 Craig Communications maintains an inventory full of quality used refurbished phone equipment. We stand behind every phone, system and component with a ONE YEAR WARRANTY!